The video showing the killing of American journalist Steven Sotloff by ISIS militants is authentic, the US has confirmed. Steven Joel Sotloff, 31, was abducted in northern Syria in August 2013. President Barack Obama warned the killers that “our reach is long and justice will be served”. Meanwhile, the UK held a meeting of its emergency Cobra committee after threats to kill a British hostage who was also shown in the latest video. President Barack Obama, speaking in Estonia, said the killing was a “horrific act of violence and we cannot begin to imagine the agony everyone who loves Steven is feeling right now. Our country grieves with them”. UK Foreign Secretary Philip Hammond also said “preliminary analysis” had suggested the video was genuine. Jen Psaki said it was believed that “a few” other Americans were still being held by Islamic State. 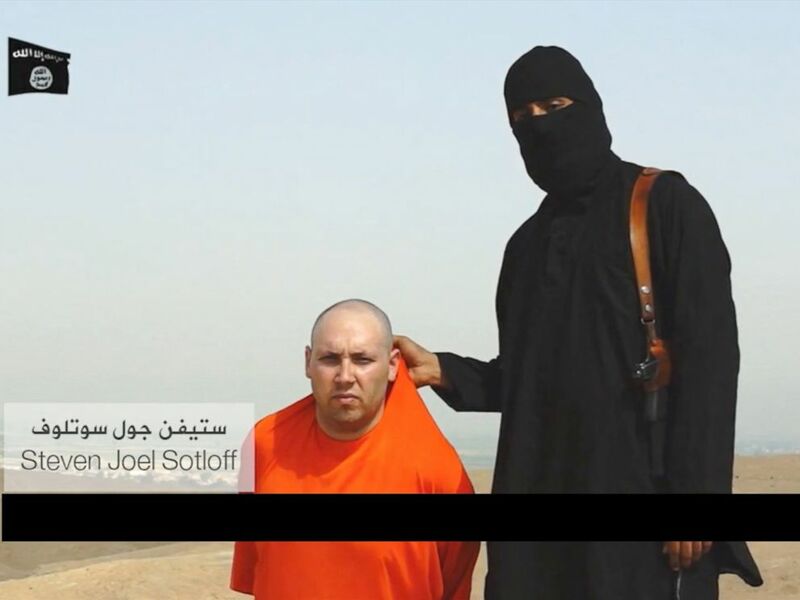 Steven Sotloff had appeared in a video last month which showed fellow American journalist James Foley being killed. The latest video, entitled A second message to America, is about two-and-a-half minutes long and was apparently recorded in a desert. The militant has a voice with a British accent similar to that of the man who appeared to carry out the beheading of James Foley. The jihadist also threatens to kill the British hostage shown in the footage. The family of the British hostage has asked the media not to release his name. The US has launched more than 120 air strikes in the past month to try to help Kurdish forces curb the IS advance. ISIS militants have seized large swathes of territory in Iraq and Syria in recent months, declaring a new caliphate, or Islamic state, under leader Abu Bakr al-Baghdadi. After the news of the video emerged, President Barack Obama ordered the deployment of another 350 troops to Baghdad to protect US diplomatic facilities.